When the essential resources of life are available to a minimal level of abundance, societies form. That is my basic premise. If there was not a huge amount of abundance, then people would not even ask questions like I am right now. They would be desperate for food and shelter and personal survival. They certainly would not be using computers or reading websites. 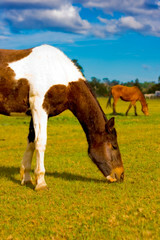 Consider other social animals, such as horses. When baby horses are born, they stay with their mother and their single motive is to nurse to a certain stage of physical maturity. Their siblings eventually are notable for the young horse, but the source of food (mother’s milk) is the primary focus of survival. 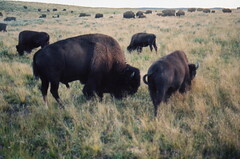 Beyond that basic stage, there is a stage featuring the protection of the family group (or extended family as in a herd). The young horse can graze on its own, but it’s survival is promoted by the herd itself. Typically, most social animals spend most of their lives in close proximity to a herd and changing herds would be rare or even virtually unknown. However, in the case of animals like lions, there may typically be a stage of “leaving the original social grouping if direct biological lineage.” Male lions compete over broods of females. Some males thrive and some do not even survive at all. Females tend to gather around a dominant male who may even take actions to discourage them from leaving. I actually do not know that much about lions or horses, but the idea is that there are variations amongst different species. Further, even when a species has a typical pattern, there will be occasional exceptions, especially when the survival of the entire group is at risk, such as during sudden severe weather or even earthquakes and so forth. Following the typical rules of a particular society does not guarantee anything for a particular organism or for the society itself. A society may grow or shrink or segment and dissolve or even disappear. The genetic prominence (DNA) of a particular organism also may grow or shrink or disappear. Sometimes, a sudden calamity will favor organisms with a particular genetic pattern or a particular nurtured trait. Or, a calamity may simply decimate the population of a particular species, “randomly” selecting a few survivors whose genes may proliferate in the absence of competition. Consider the occasions of plagues and contagion in Europe several hundred years ago. In some regions, more than half of the population died within a few years. That was entirely without large-scale warfare, to the best of my knowledge. There may have been a sudden shift in climate. There may have been a breakdown of social infrastructure for the production and distribution of nourishment, as in a famine. 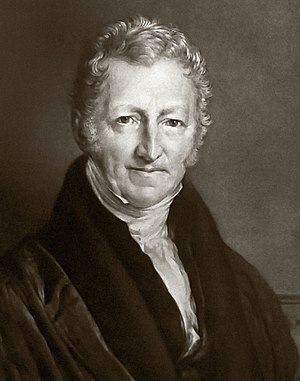 Thomas Malthus was a philosopher who studied growth rates of population and food supply, forecasting the possibility that a species (humans) might eat itself in to a population crisis. The same idea is that a parasite who kills it’s host may survive less well than a parasite who merely nurses off of it’s host. 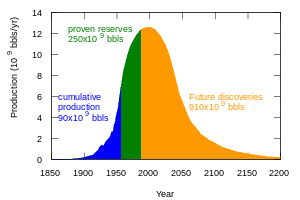 When a recognition of the possibility of population crashes is considered for humans, that is called a Malthusian perspective. 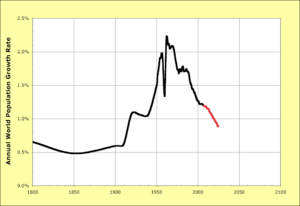 It’s not pessimism, but it is certainly not optimism. 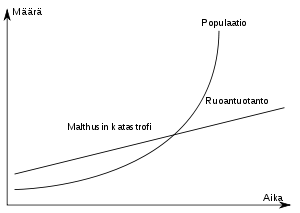 A Malthusian perspective is a recognition of an occasional biological phenomenon: extinctions and other forms of population crashes (including temporary declines followed by a robust recovery, perhaps favoring a particular set of genetics). Imagine an island with 100 people. They have enough food and agricultural productivity to sustain exactly 100 people indefinitely. However, eventually the weather changes and the crops that year offer poor yields. Maybe the soil quality and nutritional quality of food depletes. Maybe some rabbits arrive on the island and eat a bunch of their plants, but they can neither stop the rabbits nor catch them and eat them. So, in order to maintain the population level at 100, the group of people (or a culture of mold) consume so much food that they forget to keep enough seeds to plant again for next year. Next year, the weather may be fine, but they just did not plant as many seeds of the plants they have come to enjoy. So, maybe they turn to seafood or relocate from the island. Or, like on Easter Island, maybe their civilization suddenly collapses when a particular resource becomes scarce and the society does not adapt to the scarcity of the resource. Maybe an earthquake swallows them all up. Maybe weather patterns change and the complex irrigation system of the Mayan Empire is completely irrelevant in the absence of rainwater. Within a few years, the Mayan civilization disappeared. Their peaceful, stable culture quickly dissolved in to people competing for scarce food. Now, I know that there are popular “law of attraction” religions out there, especially in the West. They say “think positive and then the future will conform to the power of your magical prayers.” I have spent time in those cults and I have found them to have concentrations of folks with a very high sensitivity to fear and shame. They may so traumatized that their reaction to whatever they label as a “negativity” can be similar to that of any other reactionary fundamentalist fanatic. On the other hand, why shouldn’t prudes abuse lower class kids for their culture? It is the perfect justification! “These kids are evil and dangerous threats, therefore we must attack them and incarcerate them.” Why? Perhaps to promote the genetic proliferation of the groups of people who are doing the punishing. People may not want competition during economic transitions toward scarcity. They may gather together in clans of anti-negativity and then complain about people who complain, next hire some middle class thugs (law enforcement officers) to do the “dirty work” and arrest and jail people who wear the wrong clothes or think the wrong thoughts or eat the wrong foods or otherwise commit behaviors that have been criminalized. I certainly find the company of certain people more or less appealing than others. Sometimes, I value total privacy. Sometimes, I value particular TYPES of interaction without so much concern for the particular individuals involved, such as if I am selling something (such as girl scout cookies) to whoever wants to buy them. I value things like intelligence and health and compatibility, which basically means any character trait of someone else that I value. I like it when people are honest and insightful but also discrete (diplomatic in what they communicate and how they speak). I like people who help me to survive and thrive and to have prosperity and fun. I also appreciate people who buy girl scout cookies from me (or give me some of their profits when they sell the cookies that I manufacture), but that is distinct from actually enjoying to be around them socially. This entry was posted on April 29, 2012 at 1:00 am and is filed under Uncategorized. You can follow any responses to this entry through the RSS 2.0 feed. You can leave a response, or trackback from your own site. I enjoy the way you thing, however everything is hypothetical. Evidently you are very intelligent and study to get to the bottom of things. Had you NOT associated with religious groups, you might have , like me, made God the basis of your mental exploration and would be able to conclude outcomes, since God already knows the future. You animal comparisons with selection and society really limp, because humans have an individual choice and not instinct like animals. hence societal behavior of humans is present, BECAUSE humans make dumb choices. Why: because they devalue their creator. Logic would help to unravel the mysteries of life. Logic says: A creator knows exactly how His creation functions- ask any car mechanic. Natural selection is NOT a predictable result, ever, but Biblical foundations is: this world is close to wind down and everything decays quicker the further we move time wise from creation. I like the way you write. Very insightful! So all of that is relative to you or I identifying with some particular pattern of expectation that we have developed over time. We are “smarter” than we were at age 2 years or 2 weeks. We are better are predicting things. We can imagine that God is even better than we are today- in fact, hypothetically speaking, we can create a linguistic idea of God that has perfect predictive projections of absolutely everything- weather, growth of every single blade of grass or strand of hair- everything. That might be humbling and intriguing to imagine such a God. we might find some stories about such a God. That might be frightening- like if we want to hide something from God out of shame- or it might be awe-inspiring and so on. All of that is a personal subjective experience of a hypothetical idea of a God as defined in that particular way. So, we can also speculate hypothetically that humans do not have instinct. Maybe what you meant is that these humans (that you claim to be the expert on) do not just have instinct, but also have predictive capacities and make hypothetical projections based on logic and humans also have language, which gives them the capacity to rationalize past sequences of discrete events and then identify relationships of “cause and effect” and then name as responsible (blame?) particular things or people as the catalyst or cause or source of some particular outcome, which the human may judge as a bad outcome or good outcome and so on. So, humans can identify certain qualities or people as better or worse, evil or good, holy or mysterious or wise or dumb or instinctual or shameful or criminal or innovative. That is one idea of God, one way of defining that hypothetical linguistic unit, one way of relating to it and identifying one’s self in relation to one’s life “out there,” which includes the implicitly external God. Or, we could think of God as like a tree in which the tree has many branches or many instruments or many parts. People can get in to arguments about an elephant or God by presuming some exclusive expertise on the only way to experience the elephant or God. People can get in to wars about such things or get divorces or even get married just because they finally find someone who agrees with their exclusive conclusions about how God really is (and how God really is not). Other people use the term God not only as if God is an exclusive living presence, but that God is within them and others too. God may be said to be the one acting through the instruments of various individual organisms. God may be said to be the one causing for some typing to happen and some fingers to strike some keys on a computer and then for some light to display shapes on a screen and then for some eyes to perceive the shapes and convert them in to neurological activity in a brain and so on. Which one of those things did God not do? Which one of those things did God do? Does God get in to fights and arguments over whether elephants are sharp or floppy? If so, with whom does God get in to those fights and arguments? With the elephant? If God creates elephants to be both sharp and floppy, then one might speculate that God would know that while something could be only floppy or only sharp, something could also have various parts that are floppy and sharp. God might not get in to a fight with an elephant. Can an apple tree get in to a fight with one of the branches of the apple tree? Can the tree get in a fight with one of the leaves or one of the apples? The tree creates the branches and the leaves and the apples, which are the tree. Can God get in a fight with the trees and elephants and humans that God creates and which are God? Well, just like two limbs of an apple tree could “compete” over sunlight, so it may be that God could create a story through language in which two characters authored by God do get in to a fight, and God could name them “the elephant’s left ear” and “the elephants right ear.” They are fighting right now. Now they stop fighting. Now they start again. Now they make a truce and then treaty. Now they die of old age peacefully. Now they are reborn as an apple tree and an elephant. Maybe God can make up stories like that. Or, maybe God can only create three things and nothing except those three things. Maybe God can only create one world and only in one way. Or maybe, that is just one story that God can create and God is the author and editor and producer and can change the story or even just stop telling stories altogether. Yes, prophecy is very interesting, like with the story of Noah and the huge flood that came after he warned so many people and they generally ignored or ridiculed his warnings. Throughout human history and cultures, there have been prophecies that many people believed, yet they did not happen, as well as prophecies that perhaps only a very few even heard, but apparently did happen. For those focused on worldly developments, the question of how to relate to various prophets and prophecies may arise. For those focused on the essence of spirituality, the experience of prophecy itself may arise spontaneously, as well as the experience of grace and mystical love (“agape”) and so on. The most powerful evidence of ‘God’, or meaning and purpose in our universe, is its incredible variety, from atomic to astronomic. It seems whatever formed our universe wants as many chances as possible to combine and recombine the elements at its disposal, the colours in its pallette, if you like, therefore we have such a mind-boggling abundance of everything that could possibly be. Only such an abundance could eventually produce so many elements, stars, worlds, organisms and, eventually, opinions of intelligent life, which is the reason I believe we were certainly intended, although the route by which we became is nothing close to perfect nor was ever intended to be, it is a diverse pageant of trial and error and always will be. I question the proposition that there is a “whatever [which] formed our universe” that is distinct from the universe itself. The idea of a created reality is logically quite flimsy. If reality is an effect, then what created the alleged cause of the alleged effect labeled as reality? Further, what caused the alleged cause? To pose such a question (as in “what formed the universe?”) merely evidences the ridiculousness of the verbal constructions. With language, contrasting “partners” can be isolated linguistically and then labeled as the cause and the effect. However, to say that the sunlight causes the daytime to be warm is ultimately just poetry. The sunlight is itself just the effect of some earlier cause. The sunlight has no authority of it’s own, no will of it’s own. The sunlight is just an instrument of the universe, of God, of Life. Each form isolated within language is a facet of the Holy, which includes all of language, yet is also beyond language. Each component is an element of the system. One cannot remove a single particle from the universe. Or, if one did so, consider that then it would be an entirely different universe! So, why is the universe how it is? “Why” is a question that the human portion of the universe can ask in words and then answer in a bunch of other words. Why do humans ask such questions and answer them how they do? Because the sun shines and the universe warms up the surfaces of planets during the daytime and some humans like to experiment with other humans in regard to socializing. This is just a bunch of socializing. Churches and governments and universities and so on are just the universe socializing with itself as a bunch of earthlings. So is the entire internet and every library and every unit of language, written or oral. Furthermore, the ideas (or labels) of perfection and imperfection are COMPLETELY social. They are absolutely arbitrary. A perfect butterfly is completely destroyed caterpillar. A perfect wood shingle roof is a totally ruined tree. A perfect steaming cup of coffee is a horrible liquid for watering the plants. As for any “pro-diversity bias,” that is just another conceptual bias. Perhaps you have forgotten that the universe has allegedly killed 99% of the species of earthlings (animals and plants if not also fungi and so on) that it has so far formed. As for the so-called new religion of “science,” it’s “belief systems” are also presumptive and preposterous. However, science is ultimately just another art form, just like “religion.” They are both really just for socializing. By socializing, I include things like the detonation of hydrogen bombs as well as mining of oil and uranium and salt. Socializing is not just something that humans do with each other. Socializing is what the entire universe is doing, including by forming humans. The entirety of creation is creative creativity. It never began. It will never end. Those are just superstitious ideas formed of words. God is the subatomic and the astronomic and the cellular and even the landline. Of course, all of this is purely speculative. I got it directly from God, and we all know what an imprecise translator God can be, right? We might as well dismiss all of these words as just a bunch of socializing! As for being outside of evolution, I agree with that completely and wholeheartedly. I do realize that you did not assert anything like that, but you really should have and I see no reason to avoid agreeing with you on that point just because you never made it. Therefore, I must also disagree with you by insisting that humor is the source of all of humanity’s worst problems, except for the horrific problem of sunlight causing the earth to warm up during the daytime, which is of course caused by the earth’s rotating around and around the axis, which we should form a campaign to remove. Without the axis of the earth, there would be no imaginary point of reference in language around which for the earth to allegedly rotate. All the religions are aspects of this trial and error, the universe seems to be developing recently toward a ‘spiritual’ humanity (you have to remember the period of time during which all relgions developed is a mere eye-blink in the context of our planet, let alone our stars life and galaxies life) although it is obvious it will not take any one particular form, evolution never does, it always proceeds through an immense diversity. ‘God’ seems to be content, as we are, with experiment, it does not want to prove or produce anything in particular, just prove and produce as many different things as it can. This is evident in the stellular, mineral and biological diversity that makes up merely the universe we know. Science says this is all chance but I prefer to propose an artistic intelligence somehow inhabitaing all things (though I know it is unprovable), a playful intelligence that just wants to make and remake itself in every possible way. What else would you do in an infinite eternity? God himself seems bound by certain laws, he works as freely as he can within them, he cannot influence them directly, he can only force them into certain paths. It is unlikely there is one God, it is more likely there is some kind of hierarchy working up from the sub-atomic to the astromic, the cellular to civilization. They all seem to be performing their roles (which scientists admirably discover and apply certain lables to) in order to build up to mankind, we seem to be (in my opinion) the peak of creativity, in that we ourselves are creative and we can also artistically appreciate the beauty of creation. All this is purely speculative, I do not claim to know it. I got it from the poets and Alfred Russel Wallace, basically. This seems to me to be the true proof of meaning in our universe, to me, anyway – everything is striving to combine itself with everything it can, no atom decides not to bond, if you know what I mean. Everything works toward the further evolution, the further living development of existent things, whether it is hydrogen bonding to oxygen or two drunken teenagers rutting in a back alley. Whether it is a Christian trying to convince us of his truth or an Atheist refuting it. Everything is striving simply to collide in order to coalesce. Know what I mean? Evolution, however, wherever, is all we are. God is a creation of an intelligent mind. When it cannot explain what he sees around him and what he experiences so he resorts to the easier and the only way he has at his disposal, create God. Prophets ask us to just believe and we do out of fear (supposed to be love actually) or of confusion or of peer pressure. I am NOT an atheist but do know have been having moments of doubts. The most flimsy reasoning above seems to be the one that argues that it is ‘unlikely’ there is ONE God and more likely there are several. Most of the write up just goes past my head without making any headway, but then it may be because I am not so patient or so experienced to digest such writings. God bless you ALL, any way. Hi, if one comments on “people who wear clothes” from an identity of not being someone who wears clothes, that is like claiming ignorance on a subject and then talking about it anyway- speculating. If I speak of prophets as if I am not one, then what authority do the comments have of one who begins with a presumption of ignorance? It is like me saying that I am not fluent in the French language and then offering to translate French for you. You have no authority to speak about prophets unless you are one, or at least no authority to speak for them. If you claim to be unfamiliar with the word God and then give lengthy comments on a subject on which you claim ignorance, that is naive and arrogant. Let God speak for God. Let Prophets speak for Prophets. Let people who claim to speak French comment on how it is to speak French. If one who speaks as a Prophet comments on what it is to be a Prophet, then various interpretations are possible- comprehension, interest, rejection, ridicule, misunderstanding. If one who speaks about God claims to be speaking as God- or at least does not deny it-, only then is there any authority in the words. Would you assert that there was any authority or power or credibility in a French translation performed by someone who denies understanding the French language?